We have already seen the unannounced Samsung Galaxy S7 and the Galaxy S7 Plus along with their cover cases in leaked images last month. This time more images showing the cover cases of the Galaxy S7 have emerged on the Web – once again hinting at the design of Samsung’s upcoming flagship smartphone. 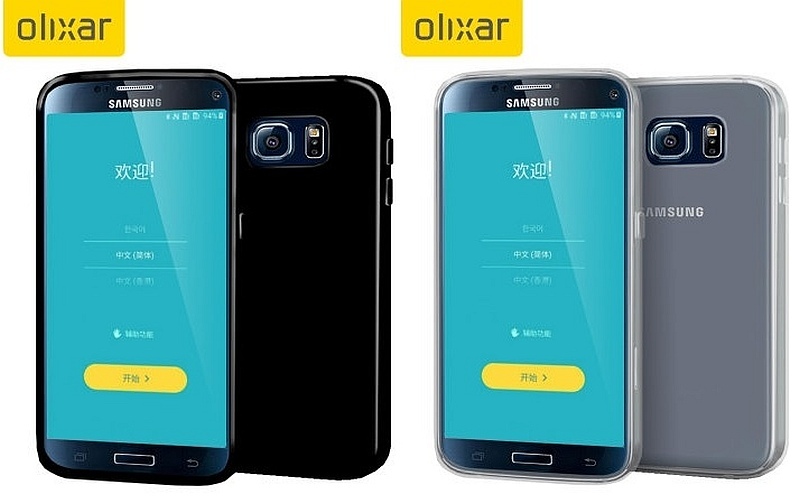 The images come from Mobile Fun, a UK-based smartphone accessories retailer, and show the FlexiShield Samsung Galaxy S7 Gel Case by Olixar (via GSMArena) along with the smartphone. The handset can be seen from the front in the images. The website has also listed cover cases for theSamsung Galaxy S7 Edge but without any images. From the listing, the Galaxy S7 is seen sporting a narrow square-shaped home button along with the usual multi-window and back buttons on either side below the display. A speaker grille with sensors placed on its left are also visible. The front-facing camera is placed at the top-right corner of the panel. The cases are seen in Black, Light Blue, Navy Blue, and Silver colour variants. Some puportedly official Qwerty Keyboard Cover and ‘BackPack’ accessories for the Galaxy S7 were also seen listed on the website. The S View case, Clear Cover Case and the Guard Cover Case listing for the upcoming flagship smartphone are also seen. The prices for the cover cases start at $8.99 (roughly Rs. 600) to go all the way up to $51.99 (roughly Rs. 3,470). The previously leaked cover case images of the smartphone also hinted towards the Galaxy S7 Plus variant. The Samsung Galaxy S7 Plus cover case did not reveal much about the smartphone but it did showed the rear camera and LED flash setup. The design seen in those images corroborate the latest images.